UPDATED WITH NEW INFORMATION AT THE END OF THE POST. 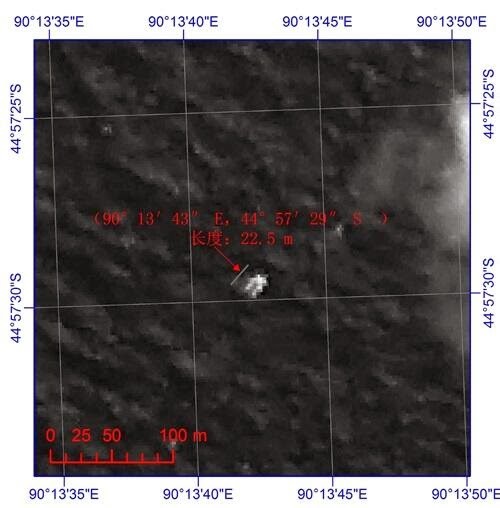 Writing from Kuala Lumpur---News this afternoon that a Chinese satellite has recorded images of a large piece of what could be debris from the missing Malaysia flight 370 will provide a distraction to the otherwise newsworthy realization that official investigators hyped a theory of criminal intent by the pilots with little evidence to support it. Sometime in the not-too-distant future, it is my hope that this friendly little country and the people who lead it, will re examine how their minister of transport and defense handled this unprecedented event. The minister, Hishammuddin Hussein interrupted his daily press briefing Saturday afternoon to tell reporters about this latest debris sighting. Google Earth representation of today's announced sighting. At 72 X 40 feet, it is about the size of a jetliner wing and is located 1570 miles more or less to the south west of Perth, Australia. Whether this is the same large chunk the Australians reported seeing earlier in the week, I can't say. That was also reported to be about 1500 miles from Perth. Mr. Hishammuddin has to be thrilled. Certainly for the obvious reason, we all want to find the plane and start working on solving the mystery, but also because the sooner he can talk about wreckage, the sooner people will start to forget how he called the disappearance of the plane very likely a deliberate act. With that announcement on March 15th, Hishammuddin launched the media on unchecked feeding frenzy even though there was little to support his claim. Everything presented to reporters as suspicious activity on the flight deck has either turned out to be not accurate or not knowable. For example, we were told that the ACARs transmission was turned off prior to 1:19am. Only to learn later that nobody knows if the ACARs was turned off, only that the transmission scheduled for 1:37 was not received. Then U.S. officials leaked to reporters that the Malaysians said the ACARs transmission showed the pilots pre programmed a turn off course prior to acknowledging the hand-off to Vietnam air traffic control with an "Alright, goodnight." I have little confidence that such an action can be transmitted via ACARS. If it is true, it does beg the question, Why would the pilots program a turn back without reporting a problem during the hand-off? Now I think I know the answer. In an interview conducted by ABC News correspondent Bob Woodruff and I in Kuala Lumpur yesterday, former Malaysia Airlines captain Nik Huzlan Nik Hussain told us, it is not uncommon for pilots to pre program the heading for the closest emergency airport throughout the flight. As the plane passes each way point the heading is changed to reflect the next nearest emergency airport. I've believed for a while now that this plane experienced an sudden decompression that incapacitated the cockpit crew without affecting the fly-ability of the plane. I have no insider knowledge, but I'm familiar with similar events and I know it is possible. What I haven't seen before is such a ham handed effort to present to the press inflammatory characterizations and distortion of the facts. I'm assuming the whole thing is at attempt by the minister to spin the drama towards pilots and away from the fact that as minister of defense as well as transport, it is he who has some explaining to do. An unidentified airliner blows through Malaysian airspace without being noticed. A Malaysian airliner goes missing for nearly seven hours before being reported. Satellite data presented to Malaysian officials gets stuck in somebody's inbox for days while a sea, land and air campaign stretches half way around the world for a failure to use that data to focus the search. Bully for the Chinese and for the Australians for bringing what might be good news to this so far hopeless investigation. There's a lot of work ahead for everybody. But sometime in the future important questions need to be asked about the sorry performance of Minister Hishammuddin on three levels; as the transportation chief, as the defense chief and as the orchestrator of groundless speculation about the pilots of Flight 370. 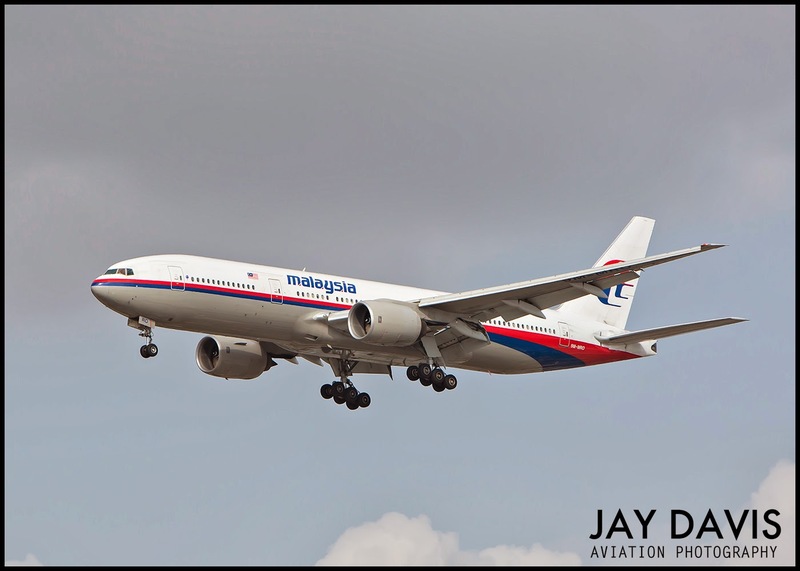 UPDATE On Sunday evening the Malaysian authorities denied any pre-programming of the turn back when the MH370 flight crew reached the IGARI waypoint, eliminating the only suggestion that someone planned in advance to take the flight off course. The statement from the Ministry of Transport said, the ACARs transmission at 1:07 "showed a normal routing all the way to Beijing." Hi Christine, you defend the pilots against the accusation of criminal intent, but don't address the prospect of a cockpit intrusion and criminal intent, such as pilots acting under duress or some other criminal intent. The fact that the transponders (plural) and ACARS were turned off long before the flight ceased (according to satellite pings) (forget the issue of timing) and radio communication ceased, followed by turns (plural) certainly suggest the airplane was under command control of some kind. Unless the decompression you speculate occurred in the electronics bay itself, the five radios (ACARS is connected to one of them) and two transponders would have continued to work. I admire your treatment of this story. Whatever *did* or *did not* happen, nobody can dispute your assertion that there has been "a ham handed effort to present to the press inflammatory characterizations and distortion of the facts". Minister Hishammuddin needs to get his house in order. Scott, I appreciate your comment but you have included details that are taken from press reports without any evidence to support them and they have not been confirmed by the investigators. The only turn confirmed by the investigation is the turn back. The erratic flight path along with altitude changes described in stories suggesting "radar avoidance" are unlikely to have taken place considering the impact of that maneuvering on fuel consumption. The plane had fuel for 7.2 and flew for 7.5 hours. Consistent cruise flight explains that. 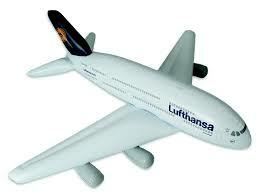 There is no evidence that the ACARs was turned off, only that the 1:37 transmission was not accomplished. That there was no communication of any kind following the ordinary acknowledgment of the hand-off suggests something catastrophic incapacitated the pilots. Much of what's been printed about this event isn't verified and on closer inspection doesn't make sense. Thanks for chiming in with your thoughts. Christine, what about the transponders? What is your theory of both of these not sending signals? In your theory, what is so catastrophic that could have happened to incapacitate the pilots before they could don O2 masks, something that is trained to be done in seconds, yet leave the plane intact and flyable per your theory? Scott will not be persuaded. The simple explanation is a fire. Egyptair fire with the Oxygen hoses right beside the co-pilot is the top candidate in my mind for theories. I raised the question of why the service records have not been made public, especially ones that deal with potential failures we know are in there like the oxygen hose issue, also with other ADs that may not have been done or not properly done. MAS is decidedly coy about releasing these facts from their records that they indisputably have access to. Yet they are quick to release hypotheticals about terrorists, attackers, including things that turned out to be totally innocuous like having some old software (Microsoft simulators) erased on the Pilot's home computer / flight simulator. The whole thing reeks of a botched investigation. Egyptair investigators was unable to establish a definitive cause for the cockpit fire for an aircraft that was on the ground when it happened, and the fire put out very quickly 25 min with most of the evidence intact --- not consumed by fire. The best guess is that the cause was an oxygen hose that was conductive and somehow, ignited an electrical short / fire. Fire near the oxygen system would have also prevented the crew from getting oxygen as the plane depressurized as the fire softened the metal of the hull. I am not saying this is what happened, it is just a theory. But this theory do not need a terrorist. My reason for favoring hypoxia over limited fire/smoke incapacitation is that the transponder appears to have been turned off. Had the crew encountered a sudden emergency they may have accidentally done that in an attempt to do something else. The insidious nature of hypoxia is that it creates a feeling of well-being and removes the sense of urgency the pilots would have needed to react appropriately to the event. Your hypothesis is as good as anyone else at this point. Note the electrical fire / decompression (however caused) do not materially differ from yours. The only reason anon here favors the fire leading to decompression is because of the Vietnam oil rig worker eyewitness of a fire that looked like it went out quickly. That is consistent with a smothering fire that caused a hull puncture, then rapid decompression (the white light / flame) followed by it being put out. Thanks, I am aware of the cyber security issue. Big thorny problem for the industry with not much public attention/pressure to solve it. Yet. The suspicion that is it not a factor in this event means it is unlikely to get traction as a result, forgive my skepticism. Regarding smoke/depressurization my thinking is that the nature of the two forms of incapacitation are significantly different in one respect. Smoke motivates the pilots to action by triggering fear and response. The opposite is true in hypoxia which causes a feeling of well being and an immediate loss of cognitive function. In this case you cannot expect the pilots to have acted in a logical manner. OK, suppose the fire fed by oxygen hose was smothering and behind a panel, and given that the cockpit is pressurized and gets tons of fresh(not recirculated) air by design, it is possible for the smoke to not be noticeable --- being vented to other parts of the aircraft, for at least a portion of the time the fire is on. A pure oxygen fed fire would work like an oxy-acetelyne cutting torch. Fire goes on, damages wiring, electrical without any visible sign of smoke in cockpit (may be slight smell in cabin behind but that is so dilute it may not be noticed enough to be of concern). Knocks out ACARS, other electricals... then the hull puncture happen. There is a Boeing spec as to how big a hull puncture can be allowed to still give the crew enough time to handle it, I think it is about 2 sq. ft. or so. Hull puncture is not just a puncture, but a fire behind it that is now fed by escaping air (and oxygen line oxygen) that does a spectacular fire that quickly enlarge the hole to beyond spec. Note rapid decomp is accompanied by no oxygen in pilot masks because that is where the fire is from --- putting on masks do no good. In desperation crew does the right thing --- put on masks, aviate, navigate, and call for help. Captain put on mask (expecting O2), turn plane around for nearest big airport, (aviate and navigate), First Officer put on mask (no air) and call for help. Cannot speak on voice with no air (3.5 psi I think at 35,000 ft), and no oxygen means hypoxia sets in fast. Cannot speak, so use transponder to signal SOS. Reach for transponder, but fumble controls and turn it off by mistake before the co-pilot expire. Alternate explanation is fire got to transponder wiring --- need to know is this on circuit affected by possible fire near O2 fire area? Pilot manage to program turn for nearest airport on autopilot, then collapse. Need to check circuit autopilot is on, but I think that is on a pretty redundant circuit (high priority) and fire may not have affected it. From then on, plane fly by itself with dead crew and dead passengers. That description is consistent with a fire that blew out section of fuselage, and as fire ran out of air as plane depressurized, put itself out. But not before blowing a big hole. That is consistent with MH370 crew pressing down on transmit trying to respond, but can't speak for some reason or not intelligible. Strong wind in cockpit buffeting at cruise speed from holed fuselage would make the mic emit a buzz sound --- need to test this theory. Read the Egyptair report... and think of how that might have transpired if it happened at 35,000ft. Photos in it are scary. There may be no visible smoke to the pilots before decompressization if it was a fire behind a panel. Cockpit only gets fresh air (confirm this) not recirculated air for passengers. If I am correct, the fresh cockpit air is dumped into the cabin. Kudos to you for facilitating probably the most intelligent discussion out there on this mystery. Keep up the good work! Why do I suspect that no one had interviewed the Vietnamese oil rig worker that reported the light in the sky? And no one interviewed the flight crew that tried to make contact by radio and got the buzz. "Anonymous" unfortunately posits facts not in evidence, then proposes that someone (else) fund testing of his theories; e.g., "Strong wind in cockpit buffeting at cruise speed from holed fuselage would make the mic emit a buzz sound --- need to test this theory." Q1: Who does he propose activated the "send" switch? Q2: What size hole in the fuselage would cause a near-instantaneous "blow out," yet refrain from interjecting sufficiently unbalanced form drag that the plane could continue seemingly unaffected for ~6+ hours? I agree with Jim B. that Christine has kept the focus on the facts better than most of the "mediots," but increasing the number of conditional unknowns inverts the probability of the outcome. In any case, if MH370 had gone down near the current locale, do we have the capability to find/recover it at that depth? The fire was put out quickly by on ground crews rather than in the air. The hole in the fuselage is about 1 ft. in diameter. See the photos for yourself. There is no doubt that if nothing else critical is affected beside crew (vital controls, electricals except for ACARS, etc.) and the fire is out, the plane could have continued to fly with a Egyptair size of hole in the cockpit. There is nothing else but scant facts that may or may not be confirmable now to build theories and speculate on the sequence of events. But the scant facts available do not suggest foul play to a high degree of certainty yet. What it does suggest is evidence that need to be looked at like maintenance records have not been known in public to be looked at. While other leads that suggested foul play gets top billing in public and apparently a large share of the investigation resources. Interview the witnesses and get their story. There may or may not be something there. Excluding evidence is a standard technique for lawyers, but not for those trying to understand something from a scientific and failure analysis investigation point of view. Now, as for funding experiments. All of these experiments can be done relatively inexpensively at a major aerospace research facility with a wind tunnel with scale models. Out of pocket costs for each test is $500 or less. A pittance compared to the cost of chasing after the deleted files of Captain Shan's flight simulator. It is no different an investigation technique than inputting the known (whatever known) flight path into a simulator, and then figure out what pilot action / controls could have produced the outcome. That can be done on a cheap $50 simulator, or a top of the line one. It is that technique that uncovered many leads that pointed investigators to understand the mystery 737 rudder failure caused crashes, or explained in retrospect how brilliant the Hudson glider pilot was, and so on. Likewise, asking for facts from engineers that know the planes systems and how it might be affected by certain events (e.g. what wiring is near the location of the Egyptair oxygen fire site) is standard desk research. Sure, it is not "in evidence" in a legal sense, but it is like asking whether a suspect is present or 10,000 miles away at the time the suspect is alleged to have done something. There is a very real possibility that the wreck will not be found anytime soon, or at all (say within five years). If not, then we are left with a best guess as to what happened, and try to put in fixes for what are the most probable cause without ever conclusively determining cause. You got a better idea? Finally, premature to ask what undersea recovery gear is needed. Someone will have to fund the recovery. It is not at all clear at this stage that funding will be there to find the aircraft for more than a few weeks more, let alone do any recovery. Expect to see the search and recovery efforts to really tail off 2 weeks after the batteries die if nothing is found to localize it. Then expect to see Malaysia make the decision of what to fund next. Each aircraft trip to the search area now require 3hrs flying each way, for 2 to 4 hours on site time. How much is that for any sized of aircraft, let alone military assets? How long can this effort go on without results? A very useful tidbit from the Air France search. They knew within a 40 mile circle where the plane went down. But the models to predict where the wreckage was (estimating wind, current, etc.) turned out to be pretty useless. In the end, it was old fashioned grid search with sonar. Now that is feasible with a smaller area, but not with a very large area. The search for Air France’s main wreck and black boxes long proved fruitless, despite gathering all the world’s vessels capable of finding them. These included underwater drones whose sonar can sweep large surface areas of the seabed to find objects; a deep towed sonar; two remotely operated vehicles and three autonomous underwater vehicles. In the end they did away with complex equations predicting the wreck’s likely location and simply scoured the zone systematically. After detecting a large object on the sea floor, they sent down remote vehicles equipped with high definition cameras. Mr Bouillard was in the ship watching in real time when the black boxes were found. “It was a euphoric moment.”"
Mr. Anonymous (you seem to be one person): Your willingness to extrapolate from single data points as to cause and effect is highly unscientific. You have freely transposed data from other crash investigations to MH370, apparently assuming that similar criteria exist, without any facts on which to base your assumptions. The fact that you seem to have ignored is the presence of large and random undersea currents in the south Indian Ocean. If that be the case, I doubt that the AF447's "euphoric moment" will soon be duplicated, if ever. It is standard procedure in any crash investigation where the physical evidence is not available and which cause is not obvious (e.g. a missile strike or an in flight bomb) to immediately check for previous incidents and whether there is any fit with known facts. Previous incidents begin with the same model / subtype, and go broader and broader to similar incidents in aviation history, etc. What was checked for this flight include a well known problem with fuel starvation (dead end), issues with past repairs (no evidence it is issue, but there was a major repair done), maintenance (no information), and then the Egyptair incident that provide the closest interesting set of facts --- notably because the cause was never officially found. There is, I believe, an AD out on this plane that may not have been done to prevent a Egyptair like incident. Another AD out to fix cracks around a satellite antenna was found to be not relevant because this model did not have that antenna mount. Incidents of hypoxia was pulled even though they are with different models like the 737 and learJet. If you have a problem with that investigation technique, then we have nothing to discuss. Think it is time for the politicians to start preparing the public for the inevitable coming in two weeks. If nothing is found by April 15, roughly a week and a month after the disaster, it can be reasonably assumed that the plane is lost, and the next iteration of the search will not likely produce results for years, or possibly never. Right now, the bills are mostly being paid by non Malaysian parties like the Australians, US, Japan, PRC, etc. tucked into their defense budgets. But the bills are mounting. *Data estimated by ANON from Australian figures. This is not including consumables and not counting extra crew costs beyond the standard minimum crew. Also not counting costs incurred in low level search such as washing down aircraft after each flight to deter corrosion, or the cost of diverting the aircraft from other essential duties which either had to be foregone or made up with other assets. Or the cost of back room support such as scanning satellite photos, and science that all cost money. Assets that are flown in specially for the search like the Poseidon P-8A, Japanese SDF P-3s, etc. are going to cost considerably more than that because they have to arrive in Australia first. Furthermore, there is not a maintenance and support base for many of these planes, so many parts and logistics have to be brought in as well. Each flight from RAAF Pierce Air Base in Australia require 3 hours to the search area, 3 hours back, and barely 2-4 hours of endurance on site. That works out to a ratio of 3 flying hours for each search hour. On that basis, each trip out there is pushing at least USD $170,000 to $180,000 before one time transit costs, and the other sundries are are added. Each search trip out there can easily be pushing USD $250,000 to $350,000 full costed. This cannot continue without someone writing checks to pay the bills. No one expect Malaysia to pay all the bills, but the end is near for a good faith Allied, friends and interested parties search effort at no charge. It is time for the politicians, both Malaysian and Chinese, to prepare the next of kin for the truly sad news: that there will be no answer for the foreseeable future. Once the air search is scaled down, the next step is to use a lower cost method like a relatively inexpensive fishing trawler with great side scanning sonar to search the wide area systematically. That might be affordable for Malaysia to maintain out there for several years at a time. Basic Engineering 101... Immarsat conducted with Boeing and others peer reviewers to make sure they didn't blow it. The crew of an MD11 ran into a cockpit fire (behind them that started in the inflight entertainment system) and started to pull fuse busses. They just had caution and warning indicators to go by so they were trying to find and disable the electrical circuits. During that incident the crew cut the power, inadvertently, to the radio and then at another point in time to the transponder. They had no time to think, as in this case. SwissAir was on hour out of their destination of JFK and only 15 minutes flight time from Halifax. This caused some concern because this flight was the normal flight for lots of UN members. It was a code share with Delta I believe. Someone might need to correct me on that. A crew could easily, and one has, unknowingly shut off comms and transponder without touching the system. George could still be active as well as a lot of the fly by wire system. " The ending of comms / transponder is not necessarily the evidence of intentional disablement by a hijacker or unauthorized or improper conduct. Note (coffin is not nailed shut yet, not without seeing the wreck... but it is getting there). Run a 777 simulator to see what would happen if the plane arrived at the Penang Airport (emergency diversion) with dead pilots, whether the prevailing winds would have shifted the plane first slightly north west, then blew the plane to the south south east course that put the plane down in the Indian Ocean where it is now being searched. The winds at 35,000ft (or whatever the altitude it was cruising at --- is very different from the ground, but the evidence is at a first look, compelling. Run a CAE simulation with these winds, and see if a plane with dead pilots, no autopilot (stops when it arrives at alternate destination) but on regular "buffering" commands that prevent plane from going too high low or turning too steeply, would produce the flight path we saw. Looks to me like the plane went right onto the course that the winds would have blown the plane onto. Fact: we know the plane somehow cross the peninsular and ended up going south. What we do not know, is whether the turn south was commanded by anyone in charge. Let's leave that open unless other facts come in that says it is necessarily commanded. A) Is this AD applicable to MH 370? B) Did the AD required work get done? oxygen hoses in the flight compartment. This AD is effective August 16, 2012.
publications listed in the AD as of August 16, 2012. Reading over the AD that arose from the Egyptair fire, one gets an uneasy feeling that there is more to it. There was a rupture sound (pop) that was heard before the fire started and a crack on the side wall where the tubing is. The analysis linking an electrical short to the tubing is a pretty good call, but are there other mechanism where the oxygen tubing failure could have sparked a fire? e.g. suppose pure oxygen was suddenly blown on normal electrical wiring and contacts which get corroded and dust buildups. Normally, this kind of dust buildup have no fire risk at all, but with pure oxygen blowing on it, something can happen. Could the rupture of the Oxygen hose be accompanied by static electricity discharge since the Oxygen is dry? We learned from Apollo 1 that in a pure oxygen atmosphere, flammability considerations are paramount. The question is, can just a simple rupture of an oxygen tubing without the electrical fault fixed by the conductive tubing issue described in the AD be enough to start a fire? One hint that there may be something to this is that this plane is roughly in the middle of its life, old enough for a lot of dirt, dust, and debris to build up behind panels and inside connectors, switches, etc. A problem that might not show up in a younger aircraft or a clean, fresh build / serviced area.